To keep the balance of producing quickly, cost-effectively and with high quality requires a certain sensitivity. 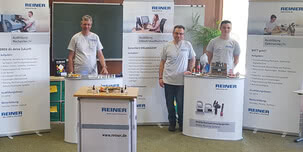 The manufacturing professionals of REINER have this sensitivity and they work constantly on optimising the assembly production of precision parts and adapting it precisely to customer requirements. Have you always wanted to know what the text plates of the REINER stamps are made of or what a knurled wheel is? 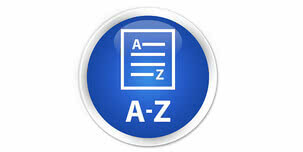 In the REINER Glossary you will find all important terms quickly and easily explained. Under the trade fair motto “Digital und auf der Höh!” (Digital and on top of things), the Freiburg industrial trade fair “ie” took place from 30 January to 1 February 2019. 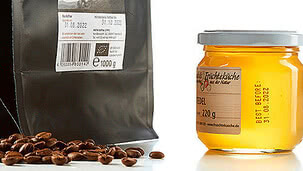 REINER, the labelling specialist from Furtwangen in the Black Forest, was represented with a booth at the Freiburg trade fair and received a positive response throughout. The paperworld 2019 trade fair team is very positive. Numerous visitors, new contacts and good conversations – that was the satisfactory conclusion of the REINER trade fair team at this year's Paperworld. In order for the morning to taste better, the founders of the muesli company mymuesli have committed themselves to one thing in particular: Individuality. At the customer's request, any mixture in almost any quantity is possible. And that makes clear and unmistakable identification a must. Let’s go to the trade fair! 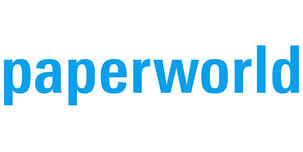 REINER will once again be an exhibitor at Paperworld in 2019. The new trade fair year at REINER begins with the Paperworld, the international trade fair for paper, office supplies and stationery in Frankfurt am Main. Everyone is talking about work process optimisation and it plays an important role especially in the field of logistics. This is also the case with Ganter, the Black Forest specialist for standard elements that are used in almost every industrial sector. 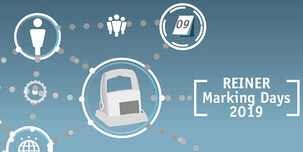 We look forward meeting you at the international REINER Marking Days 2019 on the topic of marking systems. From the 9th until 11th of May 2019 in the Lake Constance area. 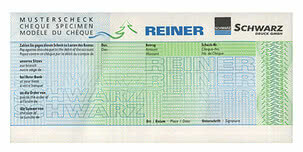 Everyone who wants to make progress relies on REINER marking technology for the marking of wood. Because it pays off – in more ways than one. From 26th to 28th October, the 48th professional beekeeping days 2018 in Donaueschingen will be all about the sweet business of honey, the “liquid gold”. 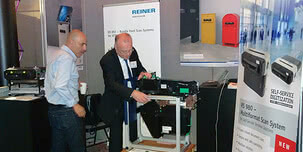 REINER with its products from the MP series should not be missed by this specialist audience. Goodbye labels. Print cardboard and paperboard directly now! 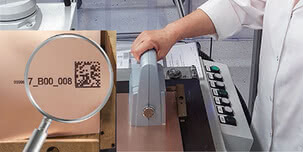 In a modern manufacturing plant, the printing of products and packaging is indispensable for tracking and marking. 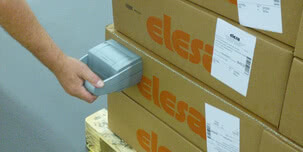 But how do I simply print the desired information like serial numbers, batch info, barcode and date or time etc.? 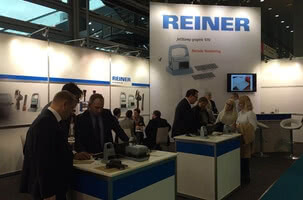 REINER presented the novelty jetStamp 1025 at the FachPack trade fair with an excellent response. The packaging industry has probably been waiting for this. 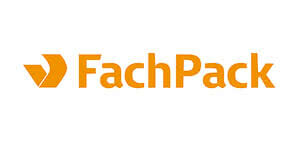 At the important trade fair for packaging technology, the FachPack in Nuremberg, Germany, REINER presented the new handheld inkjet printer jetStamp 1025 from 25.-27.9.2018 to an astonished specialist audience. Is MIM Metal Injection Moulding Lean Production? Yes, since MIM produces complex precision parts without machining. The MIM technology "metal injection moulding" offers entirely new freedoms in dimensions, geometry and materials. Does process optimization already start at the company gate? This question can be answered with a clear "Yes" at MeisterWerke Schulte in the Sauerland region. The immediate digitization of the delivery documents at the company portal significantly optimizes and shortens the time required for the incoming goods process. Can extremely stressed plastic parts be labelled permanently and reliably? BK- Kunststoffe Bernau is one of the leading specialists in the field of carrier materials and resin systems for solutions made of thermosetting materials. With the mobile inkjet printer REINER 940, Bernauer Kunststoffe has found the solution for permanent direct printing on the high-quality parts.. Does REINER also supply high-precision serial parts and completely assembled sub-assemblies? Yes. The Precision Parts, Mould Making and Sub-assemblies Suppliers division is constantly developing positively. It was originally developed to meet our highest demands for precision and economy for our own products. The REINER repair flat-rate is here! Full cost control. 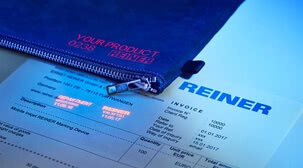 If a REINER marking unit or electrical stamp ever requires servicing or repair, our customer service will, of course, be there for you. 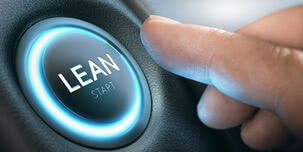 It will take care of your repair order and maintenance cost-efficiently at a guaranteed fixed price. Count on it! 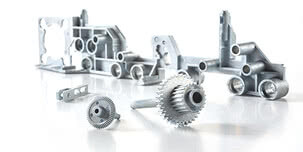 Why should I use zinc die-casting when there's also aluminium die-casting? The REINER zinc die-casting method gives you the greatest design options with highest precision. More still: our individual solutions are much more economically efficient in small and medium-sized series! Once again, REINER is represented at FachPack 2018 with a community stand. 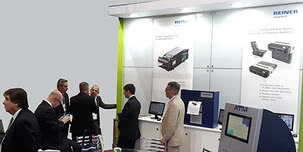 Visit us at stand 503 in hall 4 and learn more about the new mobile marking unit jetStamp 1025. Secure your free day ticket with the eCode B388604 at www.fachpack.de/voucher! 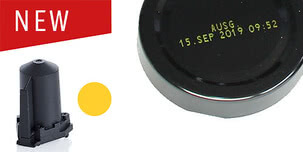 Marking the best-before-date – how, why and where? How? 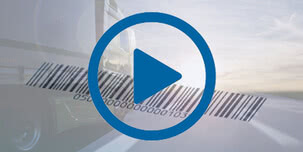 It's simple: With the mobile inkjet printers jetStamp 790/792 MP. 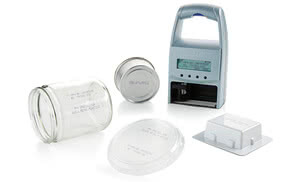 No matter if on glass, plastic or metal, on small or curved surfaces: the handy marking devices permit flexible use. 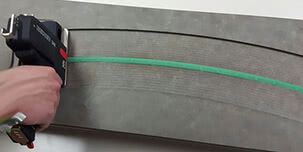 We answer the questions of "why" and "where" in the article "Interesting information about the best-before date"
REINER precision cutting with concurrent forming technology offers high piece numbers at low unit costs. Large and powerful presses will punch many parts from a sheet with a cutting tool, at precise dimensions with tear-in- and tear-off-proof cutting edges. The CIAB trade fair in Sao Paulo has become the yardstick and guidepost in terms of information technology for the "financial industry". The combination of 130 premium companies as exhibitors with international congress participants is unique in this form. The mobile marking unit jetStamp graphic 970 offers the option of optimising work processes in incoming goods. More than 600 trade visitors from over 40 countries were amazed when Wolfgang Isopp, Export Manager at REINER, presented the new RS 980 multiformat scanner to the specialist world at this "key event" of banks. RS 980 - the multi format scanner talent up to DIN A4 has arrived! 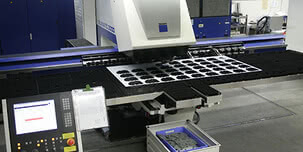 Learn everything about the production options of REINER precision technology. Let us present the individual procedure and process steps to you, from innovative design to high-quality parts. 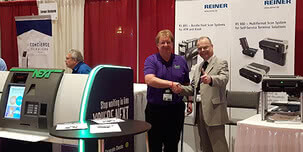 REINER expands its ink range by yellow ink. The yellow solvent-based ink was developed to permit safe and mobile marking for materials of dark colours that used to be difficult to print on before. Visit us in hall 6, stand R28, at the label & print trade fair from 11 – 12 April 2018. 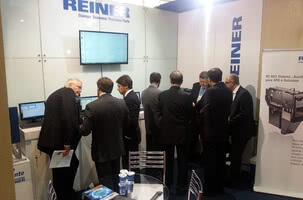 Labelcode has enabled REINER to present the new REINER innovations at the stand. Mobile printing on wood with REINER 940 has never been easier. 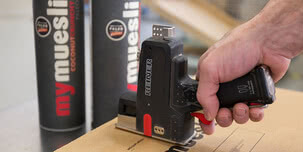 No matter if pallets, boxes, wood drums or solid wood packaging: The REINER 940 is a mobile marking device for all wood products according to the IPPC standard. 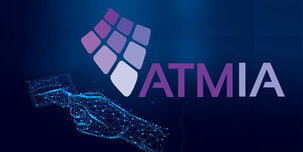 The world's largest ATM conference, ATMIA, was able to set a new record with more than 1,000 participants. 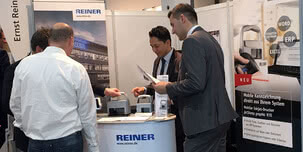 REINER had a stand at the conference and exhibition from 06 - 08 February 2018, presenting the business area for self-service scanners. A great impression, well-backed: true to this motto, REINER product novelty is presented to visitors at paperworld 2018 in Frankfurt. The handheld marking device jetStamp 1025 will be unveiled in hall 3.0 stand A76 from 27 – 30 January, proving the slogan entirely true. The annual conference and exhibition will take place from 6 to 8 February 2018 in Wynn, Las Vegas. The 2018 event theme is 'Innovate and Succeed: the Next Decade for ATM'. Visit us at booth 429 and discover our multitude of scanner modules that can be integrated into ATM and kiosks. Find out from January 27th to 30th, 2018 at our booth A76 in hall 3.0 what is behind this slogan. jetStamp 1025 will convince you too. 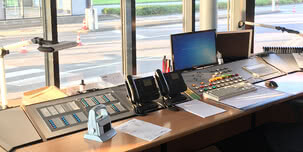 At specified intervals, REINER releases firmware updates to improve the functionalities of their equipment. The latest versions for REINER 940 und jetStamp graphic 970 marking equipment - V6.60 and V4.50 - adjust modifications to improve the performance of the marking equipment. 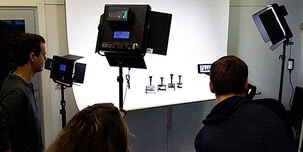 The joint film and marketing project includes eight product and application clips that will soon be available online. The students of the "digital media" department of HFU have intensively dealt with the projects since spring 2017 in cooperation with the responsible persons at REINER. From 27.-29. 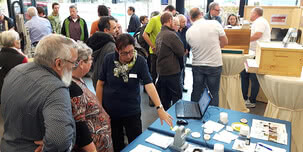 October 2017, this year's “Süddeutsche Berufs- und Erwerbs Imkertage” took place in the Donauhallen in Donaueschingen. The combination of specialist seminars and exhibitors attracted more than 5,000 guests from all over the world. 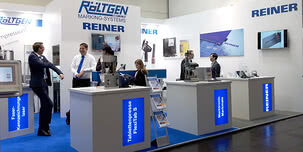 REINER exhibited in the innovation corner of the Donauhallen. 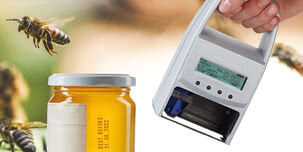 The focus was on the handheld jetStamp graphic 970 and the jetStamp 790 markers. 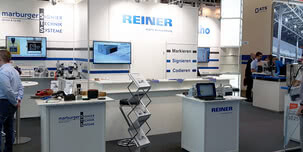 For the first time, REINER exhibited at the world's leading packaging industry trade fair, interpack in Düsseldorf. Copying or forging of branded products and documents is a problem everywhere in the world. This includes the area of confidential and important documents or goods. Many effective mechanisms are available today for better tracking to facilitate safe marking. 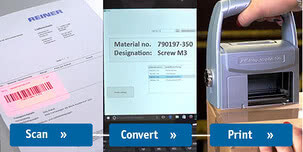 They range from simple to highly technical: From basis identification with well visible, partially coded marking, called overt technology, to safety inks that belong among the "covert" methods, i.e. the concealed methods. Everything at Paperworld is centred on safe and comfortable marking of documents and a multitude of other products and materials for REINER in hall 3.0, stand A76. Our experts in Frankfurt demonstrate the REINER stamp and marking portfolio live, showing what the handy devices can do in terms of direct printing and printing diversity. Let's be honest: Who doesn't always check the best-before date in the store before putting goods into their shopping carts? 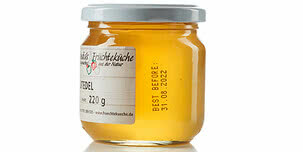 Honey is easy to store and keeps virtually forever. Its precise marking is stipulated by law, however, and those who enjoy it are happy about this. In early 2017, Ernst REINER GmbH & Co.KG became the new contact for selling REINER voucher printers. This adds the OCR printing section to the previous area. REINER is able to support its customers even more directly and comprehensively with this combination. It is also a declared target to further optimise the implementation of customer projects by the interaction of the departments. At the beginning of the year, Ernst REINER GmbH & Co. KG has expanded its product range by a new printing ink for the MP series of the jetStamp 790 family. This ink permits intense colour and smear resistant imprints on smooth surfaces, such as glass. 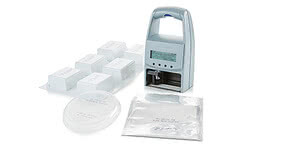 Already, many applications are found on the packaging of food and in the pharmaceutical industry. 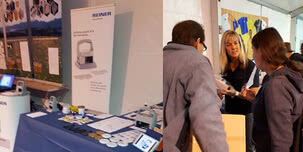 Ernst REINER GmbH & Co. KG once again presented several novelties at paperworld in Frankfurt this year. In addition to a new Windows printer driver for marking systems, a new kind of printing ink was presented. Mobile printing of data from Word and Excel! Once again this year, Ernst REINER GmbH & Co. KG presents itself with further novelties at paperworld 2016 in Frankfurt. From now on, the jetStamp graphic 970 and the REINER 940 are available with a new Windows printer driver. 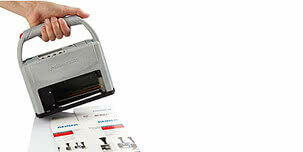 It permits handheld printing data from Word and Excel. The product range is supplemented by a new printing ink for the jetStamp 790 MP/791 MP/792 MP that permits intense colour and smear resistant imprints on smooth surfaces. 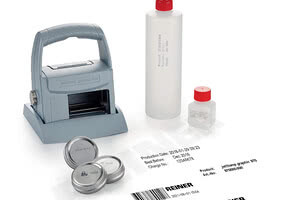 REINER 940 - Marking Packaging according to the IPPC Standard! The REINER 940 of Ernst REINER GmbH & Co. KG, makes ISPM 15 marking on wood packaging media even easier. The mobile REINER 940 marks any pallet, box or other solid wood packaging according to the specified standards. 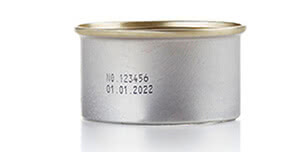 The actual mark can be supplemented by further marking elements such as date, time or serial numbering barcode, depending on requirements. 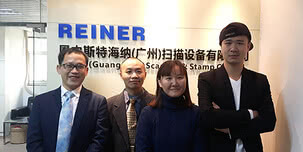 Ernst REINER GmbH & Co. KG is setting new standards in the banking industry with its next generation of SB scanners. Specifically securities and other sensitive documents often have security features. A new hard- and software version in the UV scanners increases the contrast in the corresponding UV images, guaranteeing much higher and more reliable recognition rates of the UV safety features. in Sao Paulo (BR). The largest congress and exhibition event in Latin America, in the "Banking Technology" is organized annually by the Brazilian Banking Federation FEBRABAN and this year celebrated its 25th anniversary. On more than 25,000 m² total area new records were set: Over 17,000 visitors and 2,000 congress participants were able to meet more than 100 international and local exhibitors about the latest technology in the banking segment. A century ago, Ernst REINER laid the foundations for a company that has in the meantime become the global leader in the areas of metal stamps and cheque scanners.